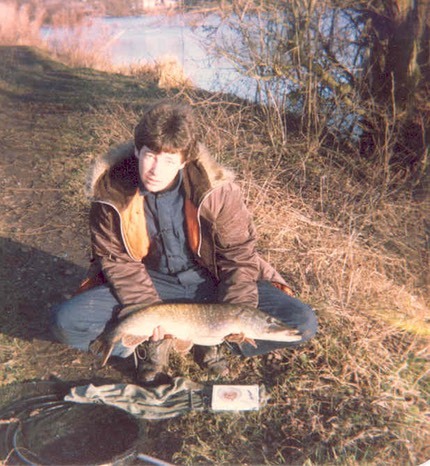 I spent much of my youth fishing and these are some of the few pictures I still have. Sporting a wind blown hairstyle this is 1lb 5 oz Crucian Carp caught in the Grand Union canal at Hunton Bridge. 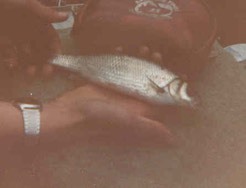 A Dace weighing in at a massive 10oz was the biggest I ever caught from the River Colne near Heathrow Airport. The first double figure carp I caught was this 10 pounder from a small lake in Cornwall, on a visit with my mate Gareth. I caught a few more double figure fish over the years. 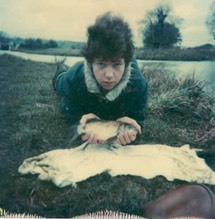 Gareth went on to land much bigger beasties in France. 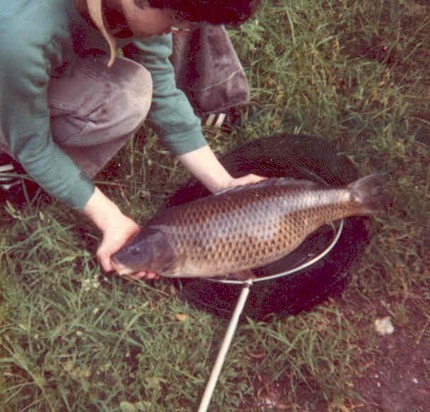 The second carp photo is a 13lb fish I caught in Wales. A 10lb 6oz Pike caught in Hertfordshire.